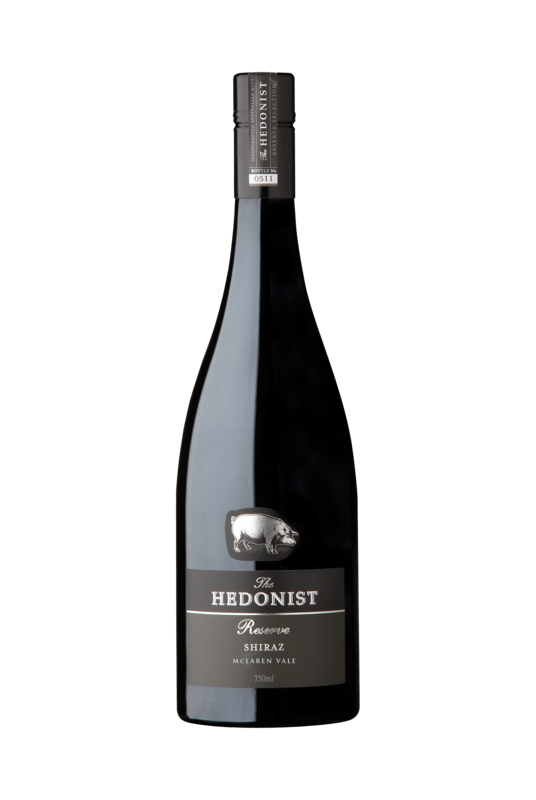 The fruit for the Hedonist Reserve Shiraz comes from an organic/biodynamic certified vineyard from Kangarilla, McLaren Vale. Producing a slightly cooler climate expression of McLaren Vale fruit due predominantly to its higher altitude. The vines are shoot and bunch thinned, with particular focus on pruning and vertical shoot poition trelising. Winter and spring weather conditions helped set up the early growth of our vines with above average rainfall leading to full soil profiles. Harvest commenced 2-3 weeks later than usual. Conditions were ideal for a long and beneficial ripening season, requiring less ripeness to produce maximum flavour. Fermented with indigenous yeast after harvest – no crushing. The ferment was lightly pressed after 15 days on skin in open top fermenters. Fermentation was completed in French Oak foudres for 18 months. Minimal Sulphur added. No fining. Generous and complex, yet soft, supple and silky. An abundance of red berries continue through to the palate augmented by fine, velvety oak tannins ensuing a long, luscious finish.